Special product for porous and non-absorbent substrates such as concrete and natural stone, clay and pumice stone, plaster, brick and ceramics, but also for carpets and textile floor coverings. Wipe off excess oil from fresh oil stains with paper towels or similar materials. Apply in dry weather, avoid direct sunlight and temperatures below 5 °C and above 25 °C. 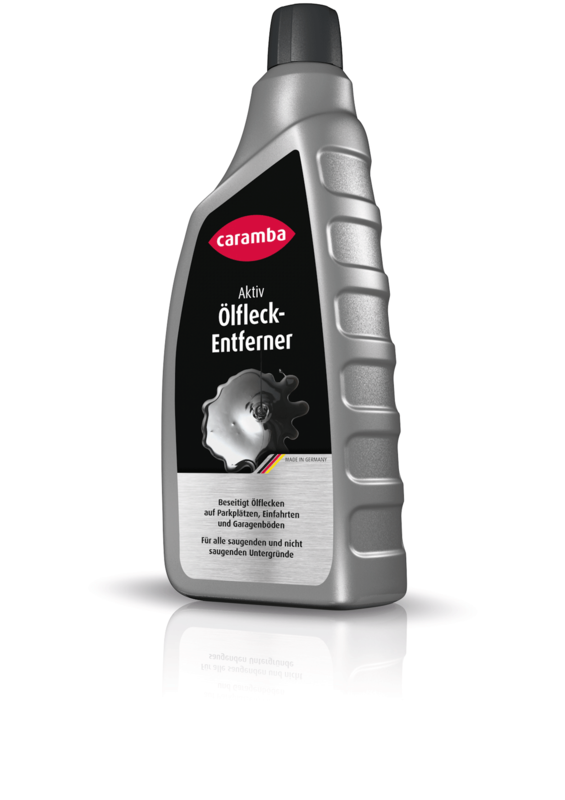 Shake CARAMBA oil stain remover well and spread on the soiled areas. The substrate must be dry. Allow the product to soak until a light powder layer develops. This will take 1-6 hours depending on the weather. Then sweep up or vacuum off the powder. Repeat the process if required and allow it to soak overnight. Do not use too sparingly. After treatment, a light grey haze may be left which disappears after a few days or 1-2 rain showers. Remains of the absorbent on porous substrates also lead to a temporary grey veil that can be removed with a sharp jet of water. Properly dispose of oil-containing waste. Do not put in the household waste and do not allow it to come into the sewage system.